Stripped the bare crank back out of the cases to install the refurbished rods. Much smoother operation this time, with none of the fit problems encountered on the last attempt. 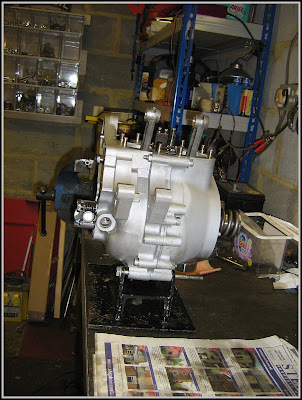 Changed the drive side main again as well, the first one had no maker's name on it and came in a nondescript white box. Didn't really feel comfortable with that, so an RHP bearing was scored from SRM and that now resides in the case and seems quite happy there. 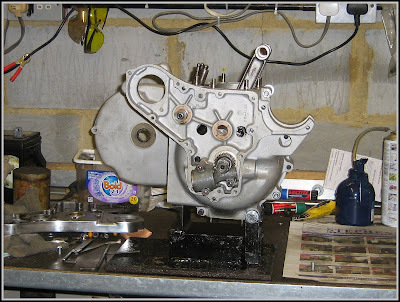 couldn't get any further as the Woodruff key for the cam timing wheel is nowhere to be found. 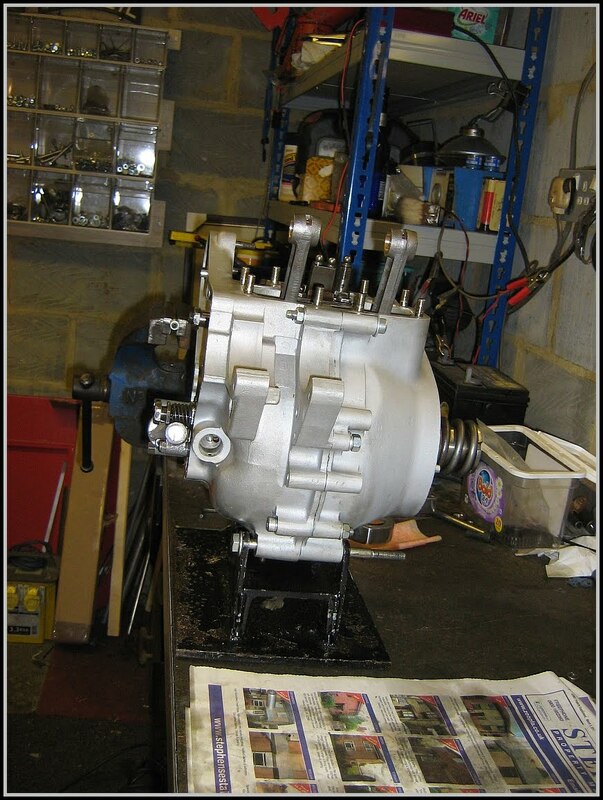 Access must be left to hold the camshaft over towards the timing side when fitting the gear, else it gets pushed in too far and the nut cannot be started. Otherwise all good, get a new key and the top end can go back on, all steps in the right direction.